By boosting the processors speed via increasing the number of cores, we need operating systems that use all cores to carry out processes in parallel. The presence of GPUs with a lot of cores enables OS to send massive amount of computations to the GPU, and increasing the performance of OS. On the other hand, for many years users turned to the security of their information. In this book, we design and implement a new secure file system that uses GPU. 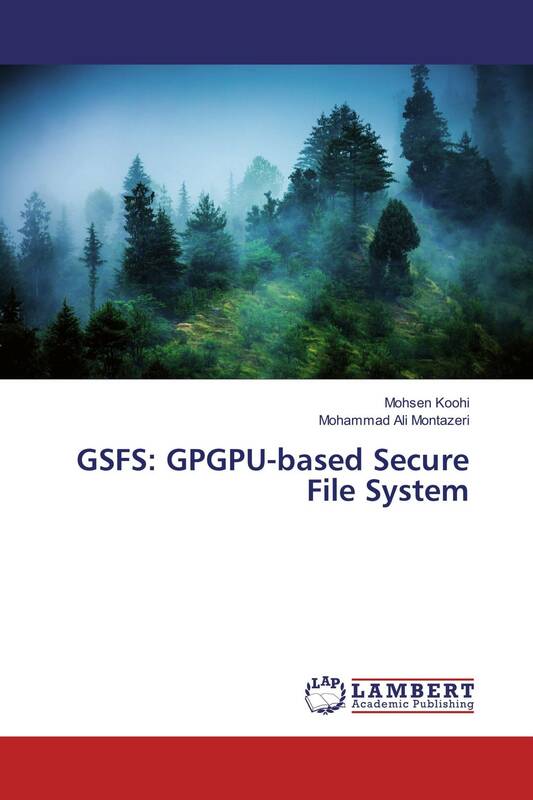 GPGPU-based Secure File System(GSFS), provides integrity and confidentiality of data. It also enables information sharing for users by making inodes accessible for different users, and also enabling users to expand/shrink the access level in each point of the tree structure of inodes. In addition to representing a novel secure and parallel structure for file systems, in this thesis, we have used GPUs to empower encryption/decryption processes.